Military/Air Force Cap in Navy with ventilated mesh frame, 2-1/8-inch black patent visor. Standard features include Soft Air Cushion Sweatband, = inch black patent front strap and your choice of buttons. 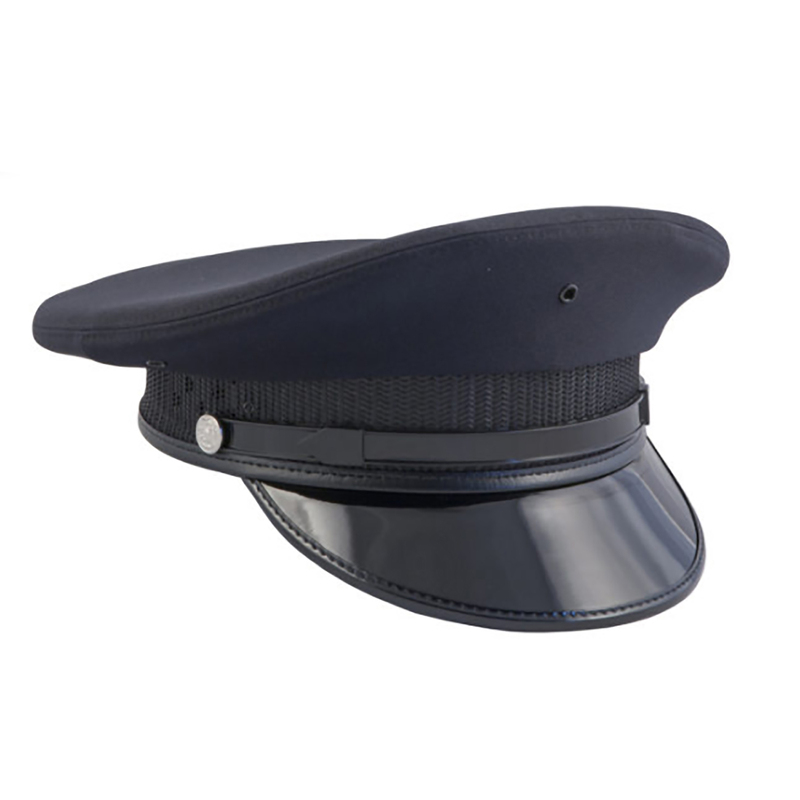 All of our uniform caps are manufactured in the U.S.A. to meet the high standards of our customers. Our headwear is designed, tested, and crafted to provide you with years of exceptional comfort and appearance.